John has dedicated his career to improving the way we do chemistry. 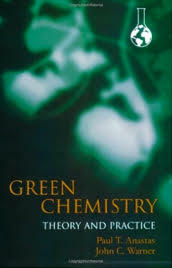 Through his books, lectures, and research publications, he has demonstrated success because of green chemistry, rather than in spite of green chemistry. For his work, John received the 2014 Perkin Medal for his work in Noncovalent Derivatization and Green Chemistry. Anastas, Paul T.; Warner, John C., Oxford University Press, London. 1998. Warner, John C. in “Teaching and Learning about Sustainability” ACS Symposium Series 1205, 2015 79‐85. Warner, John C., Aldrichimica Acta 2015, 48(1) 29.
by Matlack, Albert S.; Dicks, Andrew P. 2016 CRC Press, Boca Raton, FL. Schug, T. T.; Abagyan, R.; Blumberg, B.; Collins, T. J.; Crews, D.; DeFur, P. L.; Dickerson, S. M.; Edwards, T. M.; Gore, A. C.; Guillette, L. J.; Warner, John C., Green Chemistry 2013, 15(1), 181‐198. Cannon, Amy S.; Pont, Joseph L.; Warner, John C. in “Green Techniques for Organic Synthesis and Medicinal Chemistry” Eds: Zhang, W. and Cue, B., John Wiley & Sons 2012. Mendum, Ted; Stoler, Emily; Van Benschoten, Helen; Warner, John C. Green Chemistry Letters and Reviews 2011, 4(1), 81‐86. Jessup, Phillip J.; Trakhtenverg, Sofia; Warner, John C., in “Innovations in Industrial and Engineering Chemistry: A Century of Achievements and Prospects for the New Mellenium” Eds. Flank, William H.; Abraham, Martin A.; Matthews, Michael A, ACS Symposium Series # 1000, 2009, 12, 401‐436. Anastas, Nicholas; Warner, John C. in “Green Chemistry Education: Changing the Course of Chemistry” Ed. Levy, Irv ACS Symposium Series, 2009, 117‐136. Peabody‐Obrien, Karen, Myers, John Peterson, Warner, John Env. Health Perpectives, 2009, 117(9) A385‐A386. Cannon, Amy S.; Warner, John C. in Global Regulatory Issues for the Cosmetics Industry, Vol. 2, Lintner, K., Ed., William Andrew, 2009, 1‐16. Warner, John C. Green Chemistry Letters and Reviews, 2009, 2(1‐2), 1. Warner, John C. Green Chemistry Letters and Reviews, 2007, 2(1), 1. Warner, John C. Society of Cosmetic Chemists Annual Scientific Seminar Proceedings, Boston, MA 2006, 44‐4. Anastas, Nicholas; Warner, John C. J. Chem. Health and Safety 2005, 12(2), 9‐13. Warner, John C.; Cannon, Amy S.; Dye, Kevin, J. Environmental Impact Assessment, 2004 24 775‐799. Warner, John C. J. Green Chem. 2004 6, G27. Pyers, John E.; Whitfield, Justin; Warner, John C. Proceedings of First Indo‐US Workshop on Green Chemistry, Delhi, India, (November 17‐19, 2003), 2005, 10‐13. Stoler, Emily; Warner, John C. Molecules 2015, 20, 14833‐14848. Cannon, Amy S.; Foxman, Bruce M.; Guarrera, Donna J.; Warner, John C. Crystal Growth and Design 2005, 5(2), 407‐411. Cannon, Amy S.; Jian, Tian Ying, Wang, Jun; Warner, John C. Organic Prep. And Proc. Int. 2004 36(4), 353‐359. Zhou, Feng; Wang, Chi‐Hua; Warner, John C. Organic Prep. And Proc. Int. 2004, 36(2), 173‐177. 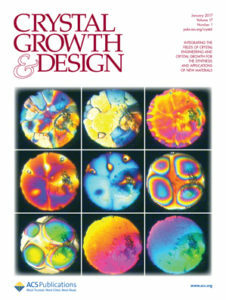 Cannon, Amy S.; Warner, John C. Crystal Growth and Design 2002, 2(4) 255‐257. Foxman, Bruce M.; Guarrera, Pai, Ramdas; Tassa, Carlos; Donna J.; Warner, John C. Crystal Engineering 1999 2(1), 55. Foxman, Bruce M.; Guarrera, Donna J.; Taylor, Lloyd D.; Warner, John C. Crystal Engineering.1998, 1, 109. Warner, John C., in “Green Chemistry: Frontiers in Benign Chemical Synthesis and Processes.” Anastas, P. and Williamson, T. Eds., Oxford University Press, London. pp 336 ‐ 346. 1998. “Non‐Covalent Derivatization: Diffusion Control via Molecular Recognition and Self Assembly”. Guarrera, D. J.; Kingsley, E.; Taylor, L. D.; Warner, John C. Proceedings of the IS&T’s 50th Annual Conference. The Physics and Chemistry of Imaging Systems, 537, 1997. Guarrera, D.; Taylor, L. D.; Warner, John. C. Chemistry of Materials 1994, 6, 1293. Guarrera, Donna J., Taylor, Lloyd D., Warner, John C., Proceedings of the 22nd NATAS Conference, 496 1993. Muehldorf, A. V.; Van Engen, D.; Warner, J. C.; Hamilton, A. D., J. Am. Chem. Soc., 1988, 110, 6561. 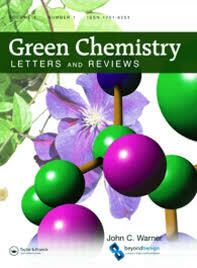 Saito, Kei; Warner, John, C., Green Chemistry Letters and Reviews, 2009, 2(1‐2), 71‐76. Martino, Debora M.; Reyna, Dalila; Estenoz, Diana A.; Trakhtenberg, Sofia; Warner ; John C. J. Phys. Chem. 2008, 112(21). 4786‐4792. Trakhtenberg, Sofia; Kumar, Ramya; Bianchini, Jason; Thor, Savin; Martino, Deborah; Warner, John C. J. Macr. Sci. Part A 2007, 44(12) 1311‐1315. Trakhtenberg, Sofia; Warner, John C. Chem. Reviews 2007, 107(6) 2174‐2182. Trakhtenberg, S.; Cannon, A. S.; Warner, J. C. in “Thin Films and Nanostructures: Physico‐Chemical Phenomena in Thin Films and at Solid Surfaces” Ed. by L.I. Trakhtenberg, S.H. Lin and O.J. Ilegbusi, Elsevier 2007 34, 665‐695. Saito, Kei; Ingalls, Laura; Lee, Jun; Warner, John C. Chem. Commun. 2007 2503‐2505. Bianchini, Jason R.; Saito, Kei; Balin, Taylor B.; Dua, Vineet; Warner, John C. J. Polymer Sci., Part A: Polymer Chem. 2007 45, 1296‐1303. Kiarie, Cecilia; Jimenez‐Ruiz, Johana; Pheng, Kanika; Trakhtenberg, Sofia; Warner, John C. J. Macr. Sci. 2006 43(12), 1965‐1974. Warner, John C. 2006 Pure and Appl. Chem. 2006 78(11), 2035‐2041. El‐Hayek, Rami; Warner, John C. J. Bio. Mat. Res. 2006 79A(4), 874‐881. Saito, Kei; Ingalls, Laura; Warner, John C. Polymer Preprints 2006, 47, 829‐830. Yu, Catherine; Trakhtenberg, Sofia; Cain, Timothy E.; Warner, John C. Journal of Polymers and the Environment. 2006 14(2), 131‐134. Trakhtenberg, Sofia; Warner, John C.; Nagarajana, Ramaswamy; Bruno, Ferdinando F.; Samuelson, Lynne A.; Kumar, Jayant Chem. Mater. 2006, 18, 2873‐2878. Cannon, Amy S.; Warner, John C., J. Macr. Sci. 2005 A42 1507‐1514. Kiarie, Cecilia; Bianchini, Jason; Trakhtenberg, Sofia; Warner, John C. J. Macr. Sci. 2005 A42 1489‐1496. Whitfield, Justin; Morelli, Alessandra and Warner, John C., J. Macr. Sci. 2005 A42 1541‐1546. Lloyd‐Kindstrand, Lisa; Warner, John C. Biopolymers, 2002, 8, 165‐174. Cheng, C. M.; Egbe, M. J.; Grasshoff, M. J.; Guarrera, D. J.; Pai, R. P.; Taylor, L. D.; Warner, John C., J. Polymer Sci., Part A: Polymer Chem. 1995, 33, 2515. Cheng, C. M.; Egbe, M. J.; Grasshoff, M. J.; Guarrera, D. J.; Pai, R. P.; Taylor, L. D.; Warner, John C. Proceedings of the IS&T’s 47th Annual Conference. The Physics and Chemistry of Imaging Systems, 810, 1994. Johnson ; Abby M., Trakhtenberg , Sofia; Cannon, Amy S.; Warner, John C. J. Phys. Chem. 2007, 111 8139‐8146. Cannon, Amy S.; Guarrera, Donna J.; Morelli. Alessandra; Pressler, Whitney; Warner, John C. J. Sol Gel Sci.2005 36 157‐162. Cannon, Amy S.; Jian, Tian Ying, Wang, Jun; Warner, John C. Chem. Mater. 2004 16, 5138‐5140. Taylor, E. C.; Chang, Z. Y.; Harrington, P. M.; Hamby, J. M.; Papadopoulou, M.; Warner, J. C.; Wong, G. S. K.; Yoon, C. M.; Shih, C., Chem. Biol. Pteridines, 1989 Proc. Int. Symp. Pteridines Folic Acid Deriv., 9th, Meeting Date 1989, 987. Ed. by: Curtius, H.‐C. ; Ghisla, S.; Blau, N. de Gruyter: Berlin, Fed. Rep. Ger. 1990. Taylor, E. C.; Pont, J. L.; Warner, J. C., J. Org. Chem., 1989, 54, 1456. Taylor, E. C.; Pont, J. L.; Van Engen, D.; Warner, J. C., J. Org. Chem., 1988, 53, 5093. Taylor, E. C.; Pont, J. L.; Warner, J. C., J. Het. Chem., 1988, 25, 1733. Taylor, E. C.; Harrington, P. M.; Warner, J. C., Heterocycles, 1988, 27, 1925. Taylor, E. C.; Warner, J. C.; Pont, J. L., J. Org. Chem., 1988, 53, 3568. Taylor, E. C.; Warner, J. C.; Pont, J. L., J. Org. Chem., 1988, 53, 800. Taylor, E. C.; Pont, J. L.; Warner, J. C., Tetrahedron. ; 1987, 43, 5159, 1988, 44, 1825. Taylor, E. C.; Warner, J. C., Heterocycles, 1987, 26, 2673. Taylor, E. C.; McDaniel, K. F.; Warner, J. C. Tetrahedron Lett., 1987, 28, 1977. Kano, K.; Scarpetti, D.; Warner, J. C.; Anselme, J.‐ P.; Springer, J. P.; Arison, B. H. Can. J. Chem., 1986, 64, 2211. “Pyridopyrimidines.” Warner, John C. in “Miscellaneous Fused Pyrimidines”T. Delia, Ed. Part IV, vol. 24, John Wiley, New York 1992. Warner, J. C.; Nakajima, M.; Anselme, J.‐P. Bull. Soc. Chim. Belges, 1984, 93, 919. Nakajima, M.; Warner, J. C.; Anselme, J.‐P. Tetrahedron Lett., 1984, 25, 2619. Nakajima, M.; Warner, J. C.; Anselme, J. P. J. Chem. Soc., Chem. Commun., 1984, 451. Hamann, Thomas W.; Bussandri, Alejandro P.; Van Willigen, Hans; Najah, Samira; Warner, John C. Proceedings – Electrochemical Society 2000, (Fullerenes: Volume 8: Electrochemistry and Photochemistry), 289‐298. Eames, Sara J.; Yoo, J. Seung‐Jin; Warner, John C.; Neikirk, Dean P.; McDevitt, John Thomas. Proc. SPIE‐Int. Soc. Opt. Eng., 3790(Engineered Nanostructural Films and Materials), 160‐168, 1999. Quinn, Hubert M.; Takarewski, Joseph J.; Warner, John C. American Laboratories, September 1998. Koga, Gen; Warner, John C.; Anselme, J.‐P., in “The Chemistry of Functional Groups. Vol 2” S. Patai, Ed., John Wiley, New York. pp 603‐645. 1997. Warner, John C., PhD Dissertation, Princeton University, 1988. Warner, John C., B.S. Undergraduate Thesis, University of Massachusetts Boston, 1984.